I've used several pairs of fancy armored gloves, and truth be told, I always wondered if the armor on the knuckles would make enough of a difference in a crash to be worth the tradeoff in bulkiness and comfort. Many times I would end up riding with Aerostich's cheap deerskin garden-glove like mitts, because they were the only gloves I had that breathed adequately for wide-ranging temperature conditions and were comfortable on my hands. The Lee Parks school of glove design throws many old conventions out the window and has come up with a very comfortable glove that I can actually feel secure putting my hands to the bars with. The deerhide on the palm and elkhide on the back are both extremely comfortable. The elkhide is as robust and thick as any cowhide I've ever seen (and I've seen Vanson), but it's extremely soft-handed and slightly stretchy. The deerhide is slightly lighter, but it's even more stretchy and soft, which is great for the palm side of a glove. There's only four seams on them, as advertised. All these factors combine to form a glove that is supremely comfortable and can be worn for hours at a time. The two handy Velcro Straps on the underside make for easy securing to your wrist and jacket cuff. The gauntlet is the most generously sized of any glove I've ever seen--if you have large wrists compared to your hands, this is the gauntlet glove for you. Fit is an important issue in motorcycle gloves, and the DeerSports don't disappoint. My finger length is smack in between a small (8.5) and medium (9.5) on their size chart, and measuring my hand according to their directions yielded 8.75 inches. I ordered a medium, and they are a close fit. They're like a second skin. And it's great. The thumbs are snug, the pinky is a touch long, and the other three fingers are just right. Now, I realize this threatens my manly interweb mojo, but I have to admit I don't exactly have the hands of a farmer. My mitts generally reject--and painfully so--any gloves that fit closely, blistering at the seams and chafing at the fingertips. 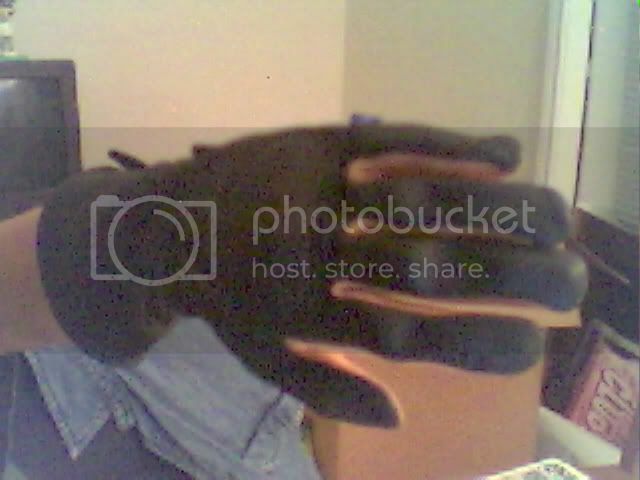 Not so with these gloves. There's almost no air space left when I have my hands in them, but these gloves were worn on two straight 8-hour riding days and I have nary a complaint. This speaks very highly of how the gloves are sewn and tanned, and Lee makes no compromises. 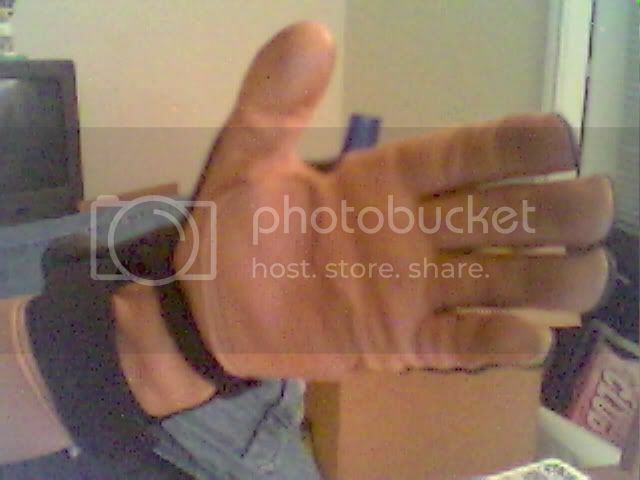 If you look closely at my crummy webcam pictures on the top, you can see where the elkskin and deerskin has broken in nicely and molded to my knuckles and fingers. That break-in took about three days. A complete temperature range report is not yet ready, but I can say that in high heat the DeerSports work surprisingly well despite a complete lack of venting. To get a glamorous luster, many gloves are polished to the point that their breathability is threatened, resulting in hands so hot they get shaky and sweat copiously when things heat up. Even Pittards leather has given me problems with this. The DeerSports put up with my sweaty palms through 90-degree+ weather on long rides, and they were only slightly damp at the pressure points (palm and fingertips) at the end of the day. If you're riding through wide temperature extremes, breathability is key--you want to shed glove moisture as quickly as possible to avoid having damp hands when things cool off, and I look forward to testing these gloves' superiority in this area. The looser fibrous structure of deerskin and elkskin compared to cowhide is probably responsible for this. Lastly, but not leastly, how do these gloves hold up in a crash? That's probably the most contentious issue. No padding anywhere, no reassuring titanium plates, nor any carbon fiber plastics grace this glove. Not having experience with introducing motorcycle gloves to pavement, I cannot speak with authority on Lee's reasons for this simplistic design from a protective standpoint. I encourage you to read "The 4 Big Secrets Glove Manufacturers Don't Want You To Know" on the website and decide for yourself if you're sold. For my own reasons and my own embarassingly extensive experience crashing from bicycles, I believe those tenets for the most part. I believe that abrasion is the greatest threat to your hands in most crashes and a minimum amount of maximum-strength seams is your best bet safetywise. If you disagree, well... did I mention these are damn comfy?